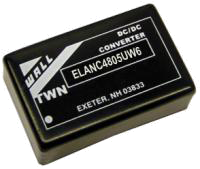 The ELANC series of DC/DC power converters provides 6 watts of output power in an industry standard 1.25″ x 0.80″ x 0.40″ package and footprint. This series has single and dual output models with 4:1 input voltage ranges of 9-36VDC and 18-75VDC. 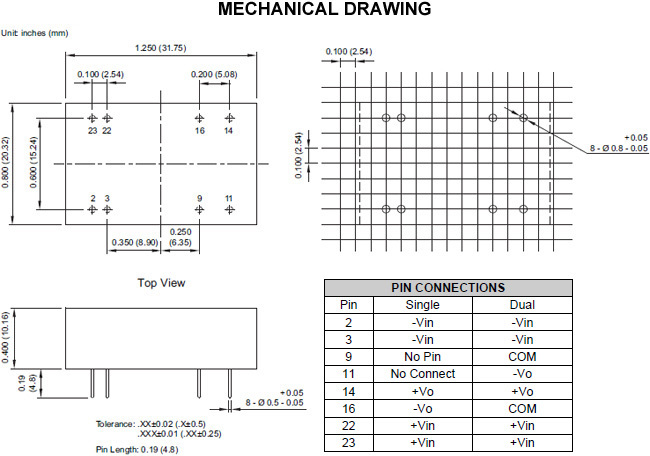 Some features include high efficiency, low ripple and noise, and an MTBF > 2,000,000 hours. All models are RoHS compliant and meet IEC/EN60950 and UL60950 safety standards. The ELANC series is the “Economy” version of the LANC series. Dimensions: 1.25" x 0.8" x 0.4"
Notes: This series is the economy version of the LANC series.